Yesterday we reported that the ECB has begun contemplating the death of the €500 EURO note, a fate which is now virtually assured for the one banknote which not only makes up 30% of the total European paper currency in circulation by value, but provides the best, most cost-efficient alternative (in terms of sheer bulk and storage costs) to Europe's tax on money known as NIRP. That also explains why Mario Draghi is so intent on eradicating it first, then the €200 bill, then the €100 bill, and so on. We also noted that according to a Bank of America analysis, the scrapping of the largest denominated European note "would be negative for the currency", to which we said that BofA is right, unless of course, in this global race to the bottom, first the SNB "scraps" the CHF1000 bill, and then the Federal Reserve follows suit and listens to Harvard "scholar" and former Standard Chartered CEO Peter Sands who just last week said the US should ban the $100 note as it would "deter tax evasion, financial crime, terrorism and corruption." Well, not even 24 hours later, and another Harvard "scholar" and Fed chairman wannabe, Larry Summers, has just released an oped in the left-leaning Amazon Washington Post, titled "It’s time to kill the $100 bill" in which he makes it clear that the pursuit of paper money is only just starting. Not surprisingly, just like in Europe, the argument is that killing the Benjamins would somehow eradicate crime, saying that "a moratorium on printing new high denomination notes would make the world a better place." 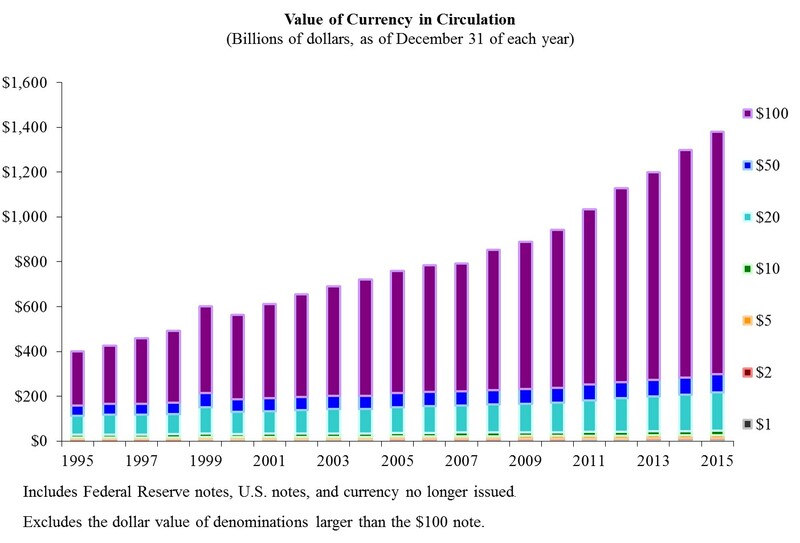 Yes, for central bankers, as all this modest proposal will do is make it that much easier to unleash NIRP, because recall that of the $1.4 trillion in total U.S. currency in circulation, $1.1 trillion is in the form of $100 bills. Eliminate those, and suddenly there is nowhere to hide from those trillions in negative interest rate "yielding" bank deposits. So with one regulation, the Fed - if it listens to this Harvard charlatan, and it surely will as more and more "academics" get on board with the idea to scrap paper money - could eliminate the value of 78% of all currency in circulation, which in effect would achieve practically the entire goal of destroying the one paper alternative to digital NIRP rates, in the form of paper currency. That said, it would still leave gold as an alternative to collapsing monetary system, but by then there will surely be a redux of Executive Order 6102 banning the possession of physical gold and demanding its return to the US government. I confess to not being surprised that resistance within the ECB is coming out of Luxembourg, with its long and unsavory tradition of givingcomfort to tax evaders, money launderers, and other proponents of bank secrecy and where 20 times as much cash is printed, relative to gross domestic, compared to other European countries. Lawrence Summers urged countries around the world to agree to stop issuing high-denomination banknotes, adding his voice to intensifying criticism of a practice alleged by police to abet crime and corruption. 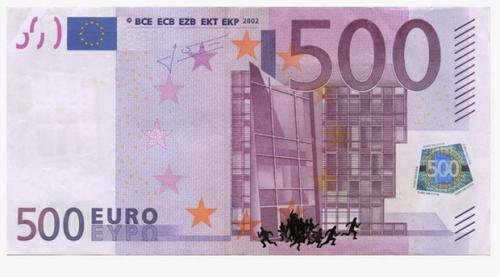 The 500-euro note has been in circulation since the paper currency went live in 2002. British banks and money-exchange services stopped distributing the bills in 2010 after a report showed that 90 percent of demand for them came from criminals. ECB Executive Board member Yves Mersch said earlier this month that his institution still wanted to see “substantiated evidence” that the notes facilitate illegal activity.